With the original dive center in Tulum, Mexico. Come and epxlore with us! Stay & dive with us! 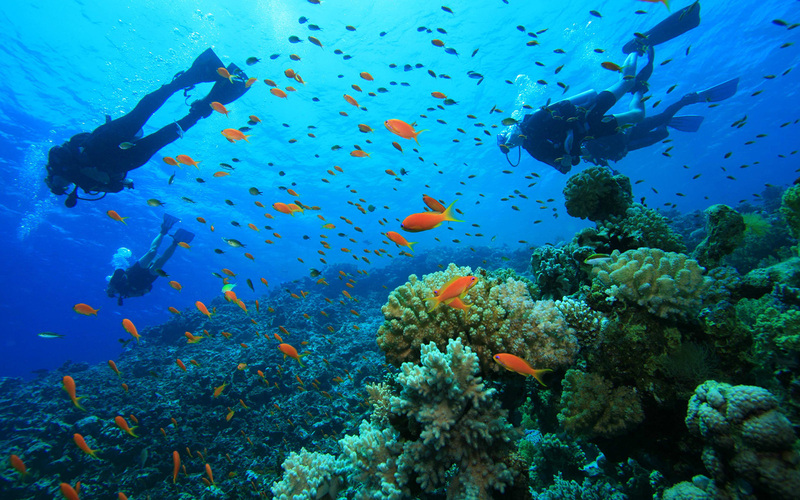 We have some great dive and stay packages for your vacation! Mexico’s Yucatán Peninsula has undeniably stunning beaches around Cancún, Playa Del Carmen and Tulum. And the Great Meso American Reef that runs along the beach is a fantastic diving opportunity. 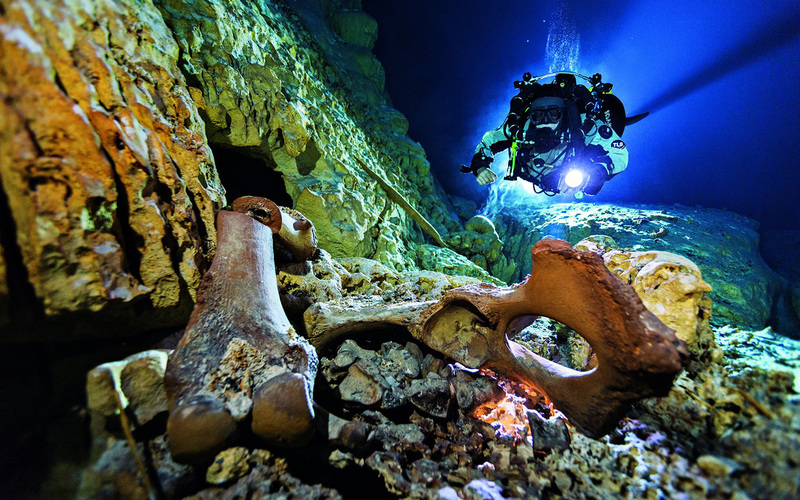 Recently Alejandro Alvarez, director of the Project Speleological Tulum (PET), announced one of the most important findings of contemporary history. Explore the wonders of the Yucatan Paninsula. 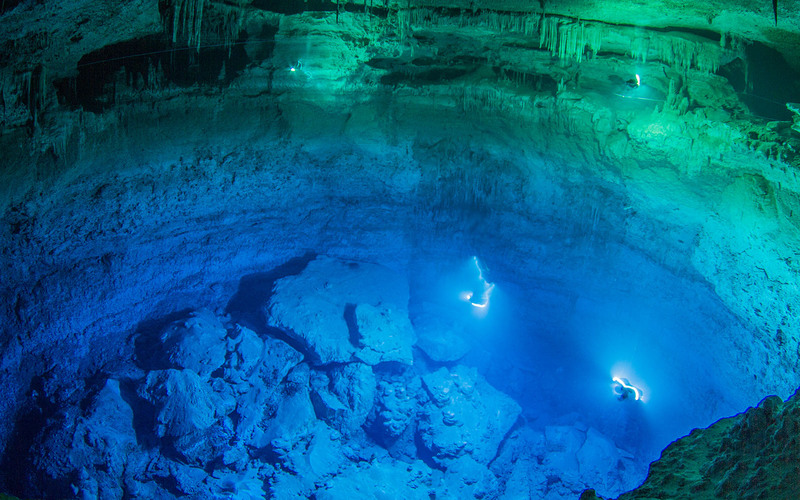 The Yucatan Peninsula is recognized as one of the most popular areas in the world for cave diving. 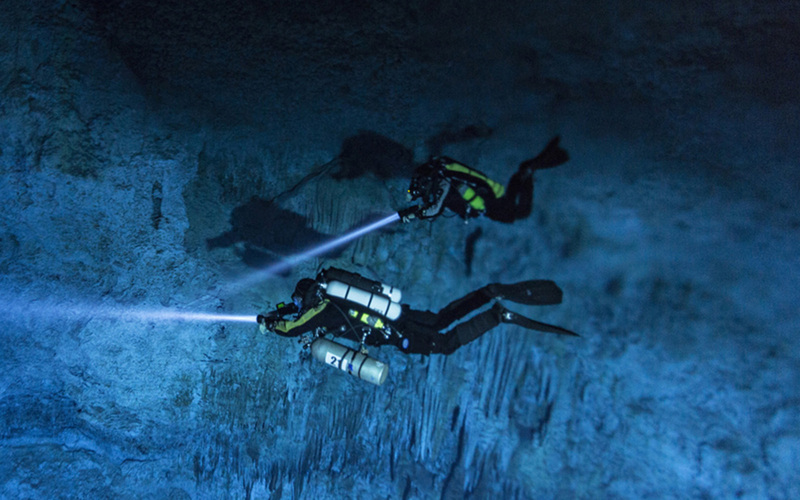 The water filled caves here, unique to this hemisphere, have excellent visibility year round, moderate temperatures, minimal currents with both shallow depths and extended range and a beauty incomparable to any caves in the world. Cavern diving, an extension of recreational diving, allows us to witness the magnificence of a cave system without fully entering it. 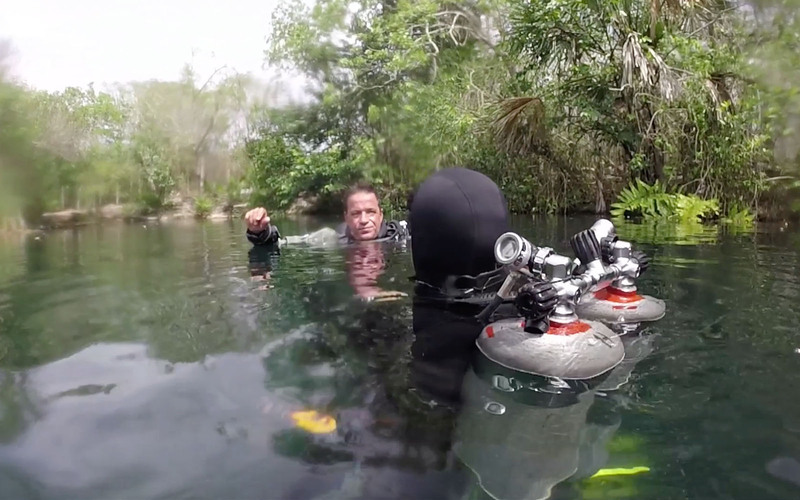 Sunlight enters the area throughout the dive. 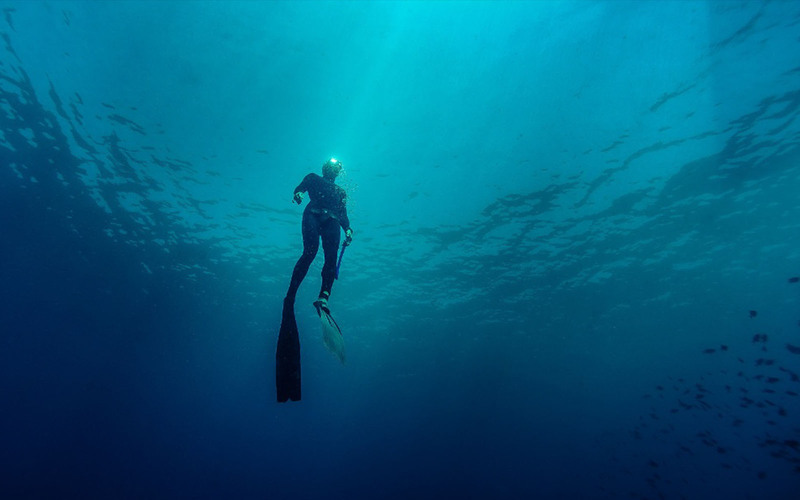 With gentle care and respect for these sytems, qualified divers can enjoy these amazing natural areas with their incredible formations, flora and fauna. A few meters offshore of the beaches of Tulum lies the Great Mesoamerican Reef. This reef runs uninterrupted and parallel to the coast from the northern part of Cancun to the Mexican Border with Belize and forms one of the most attractive sub aquatic environments and one of the most important coral reefs in the world. Diving in this reef system is an unforgettable experience. 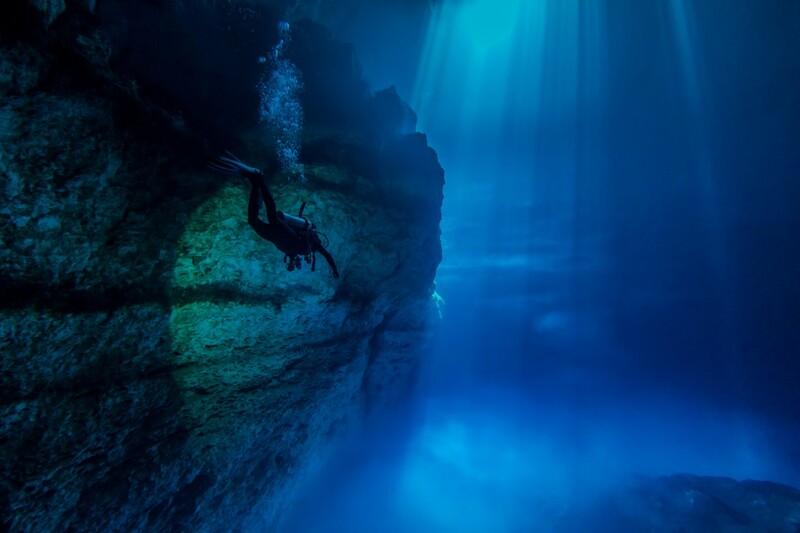 Free Diving, or Apnea, allows you to experience the freedom of no tanks and the incredible zen sensation you can feel while controlling your breath and submerging your body and spirit into the ancient waters of the Mayan cenotes. From shallow plunges to deep immersions, Acuatic Tulum can bring you closer to your breath and your inner guide. Give yourself the gift of a dive course in one of the most incredibly beautiful parts of the world. While he rest of the world is learning in swimming pools, you will learn submerged in the crystal waters of a natural system that has developed over millenium. Acuatic Tulum offers recreational (PADI) courses, Tech and cave (TDI) courses that will enable you to enjoy these areas for a lifetime. Let us turn your holiday in to a magical adventure. Check out our latest packages! Classes to suite all abilities! We are happy to help you with any inquiry.